"Next year, we'll have a different level of band that normally wouldn't play a 4,000-capacity venue," he said. I think someone pointed this article out before but I can't remember. Seems like this would be a pretty tough ticket to get. Any show in MT will be a tough gig to get. I doubt there is anything over 10K+ there. I wouldn't mind seeing them play at MU Grizzlies stadium...That is a Badass Setting. I was at the show at Grizzly stadium in 1998. One of my most memorable shows! Beautiful setting! My sister lived 1 mile from the stadium at the time so pretty convenient for me. there is this cool dude plays bass guitar in the band,.where is he from? It really was. 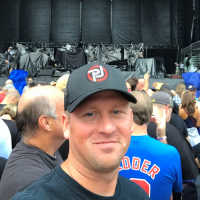 It was my first time to Montana, and I would definitely be up for return to Missoula for another PJ show! 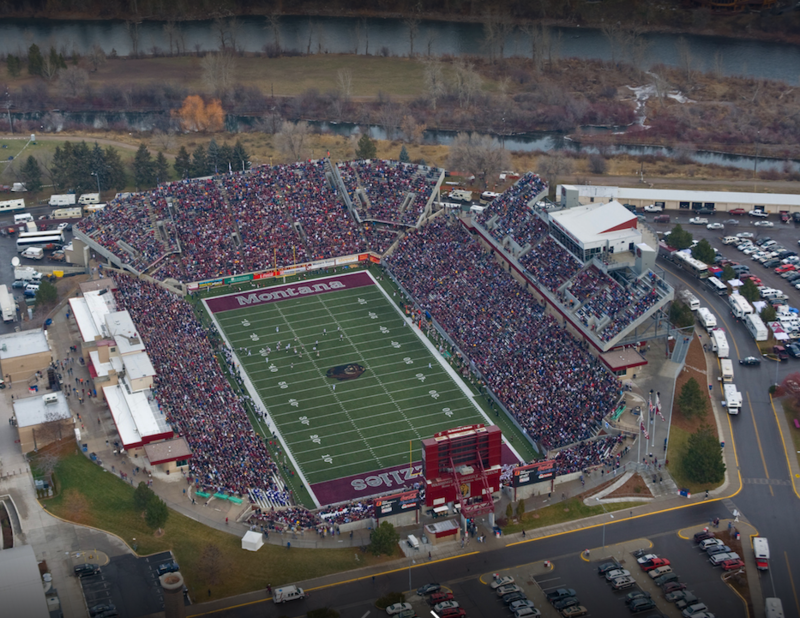 I think the arena (which they typically play when they come to missoula) has a capacity of 7 or 8k. Was at the 2005 show there. Its the smallest venue ive seen pj in. If they play that new amphitheatre i may have to head out there again! Montana is on the wife's bucket list for places to visit. Let's do this! Man if it’s as small a venue as some are stating, tickets will be impossible to get. Should be an exciting lottery! I’m starting to worry about Philly, Dimi has never hinted at it even a bit, even when asked, plus that other guy mentioned 7 shows total, and with Dimi now hinting Montana that adds up perfectly for Seattle, Chicago, Boston and Montana. Ya I have been thinking this too for awhile. Really hoping the Philly dates are true and they are the second weekend of September. Booked vacation based on this though I knew it had a strong chance of not being accurate. That they would play Citizens Bank has always seemed a little weird to me. That's something you do when touring dozens of ballparks, not just playing a few shows. But...it's also kind of weird to me that they're playing Wrigley and Fenway again. So who knows? Stranger things have happened. I thought it was a good chance because it would attract a lot of east coast customers without really overlapping with Fenway too much. It may even be the fastest sellout of the bunch if Fenway would be the closest competition. Philly tickets are some of the hardest to get. They would definitely sell it out if they played at Citizens Bank park. I hope they do play Philly because it might lessen the lottery demand for other shows. Not might, it will. I know that my uncle and I are both entering for Seattle if there is no Philly. You're the best dimitri...thanks for all your posts! 2 years ago today we got the Anouncment Coming Soon video. Dead and Company release summer tour plans. Yeah, it seems like a ton of bands have announced a tour in the past two days. Nathaniel Rateliff and the Night Sweats announced their tour yesterday too. Jack White and Tedeschi Trucks Band/Drive-By Truckers announced a tour the day before. I’m thinking the same thing. The more shows the better otherwise getting tickets will be very difficult. If Seattle is the only west coast show, it will also be extremely difficult. Hoping for a surprise venue like dodger stadium. I understand Eddie's affinity for Wrigley Field and if they are playing ballparks again the band obviously enjoyed 2016. But, with Alpine trying to relaunch after taking last year off, it would be cool if Pearl Jam made an appearance. That venue will always hold a special place in its history. And I'm saying this as someone who has never seen a show there. ^ Alpine Valley is a great venue. I love Alpine Valley. I saw so many amazing shows there when I was younger. It's kind of sad how it has died off. I think 3 things primarily have killed alpine off. More shows at Wrigley, more shows at Soldier Field, and when the amphitheater was built in Tinley Park. It's made it so there's an option for everything in or close to Chicago. The only thing I don't miss from Alpine is that horrible fog you usually have to drive through after shows. I think that was the original rumored number.